Sometimes the most unusual and endearing sights are close to home. This holiday weekend in Steamboat Springs, Colorado, I was treated to the sight–from a safe distance–of a mother elk who had just given birth to a couple of calves. No pictures–it was too dangerous to get close enough! The new mom reigned on a grassy hillside close to my house for several days, until she judged her young ones strong enough to move. 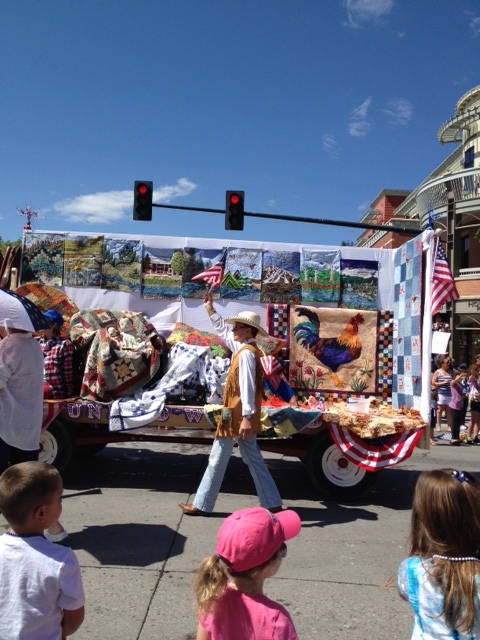 In the traditional parade on Lincoln Avenue, I saw another first: a parade float featuring local quilts from the Delectable Mountain Quilting Guild. The American flag appeared everywhere. Everybody in town, and folks from far and wide, turned out for events such as ski jumping (on plastic and grass instead of snow). After the parade, people enjoyed the block party complete with root beer floats and strawberry sundaes. 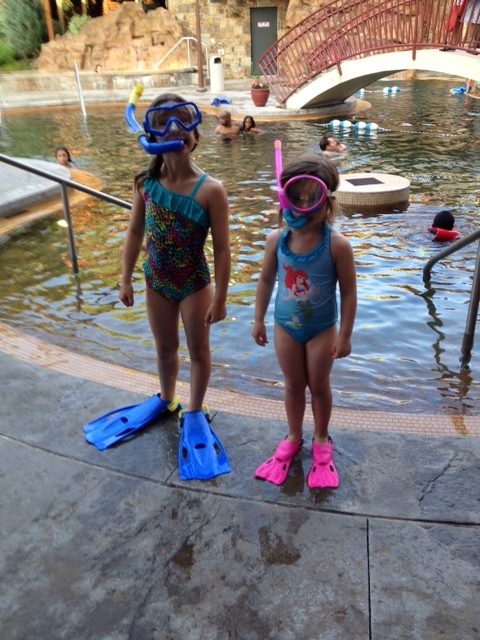 I watched a couple of happy little girls try out their new snorkel gear at the Old Town Hot Springs, then we all watched the spectacular fireworks. 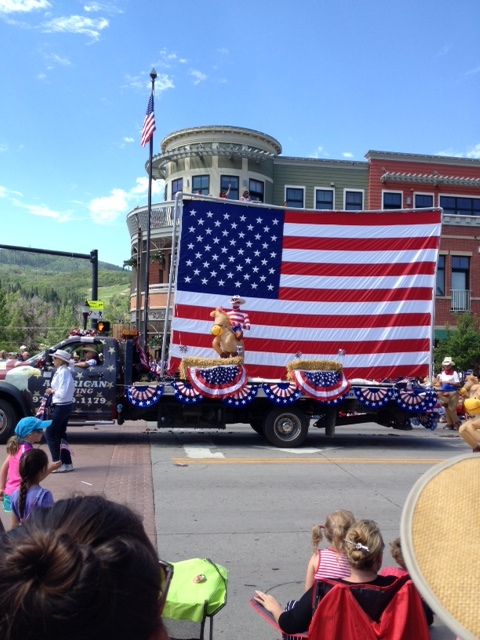 Somehow, no matter how far I travel, the American 4th of July never gets old! This entry was posted in Uncategorized on July 5, 2014 by Claudia Suzan Carley.